We Buy Houses For Cash. Any Condition. Any Situation. We work with sellers in difficult situations to find win-win solutions to selling their houses. I Need To Sell My House Fast in Michigan! We buy houses anywhere in Macomb County Michigan and the surrounding areas. We pay ALL the costs. We buy houses in ANY condition. Most importantly, we’ll give you a FAIR price. 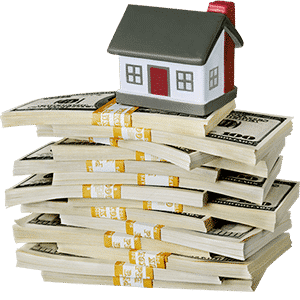 If you’re searching “sell my house fast Michigan,” then we’re ready to give you a fair all-cash offer.Stop the frustration of your unwanted property. Let us buy your Michigan house now, regardless of condition. Do You Need To Sell Your House in Michigan? You don’t need to clean up and repair the property. We’ll buy your house as it sits which means more CASH in your pocket. You don’t have to waste time finding a trustworthy agent. Plus, we don’t charge any commissions or fees! We pay with cash. This means that you don’t have to wait months for bank financing to go through. We make the sale process very simple and easy to understand. Everything is 100% legal and local. We will take care of everything! We help property owners just like you. From divorce, to foreclosure, unwanted properties, to burdensome rental properties, and many other situations. We buy houses in Macomb County Michigan and surrounding areas. We’ll pay you a FAIR price in a short time. Are you ready to sell your house? If you’re ready to be free of the stress, click here to learn more about how our process works. Should You Sell Or List? Whether or not you should sell or list can be a tough decision. The condition of your property shouldn’t be your only consideration. There are numerous factors to consider including fees, closing costs, time needed to close and more! Should you sell your house or list it? Use our convenient chart to compare your options by clicking here. Make the best choice for you! We work differently at Cash Buyers Macomb. When you contact us, we’ll give you a fair, all-cash offer on your house within 24 hours. The best part is that we can close whenever YOU choose to close. It’s entirely up to you. It doesn’t matter what condition the house is in. If there tenants in the property, we can take care of it for you. If you need the cash quickly, we can close in as little as 7 days. This is possible because we pay CASH. We don’t deal the bank. (Go here to learn about our process →) No matter what condition your house is in. No matter what situation or timeframe you’re facing. Our goal is to help make your life easier. We can get you out from under the property that’s stressing you out and costing you MONEY. We Buy Houses Michigan and All Surrounding Areas in Macomb County. If you need to sell your house fast in Macomb Michigan, we need a few quick pieces of information. We’d love to make you a fair, no-obligation no-hassle offer.